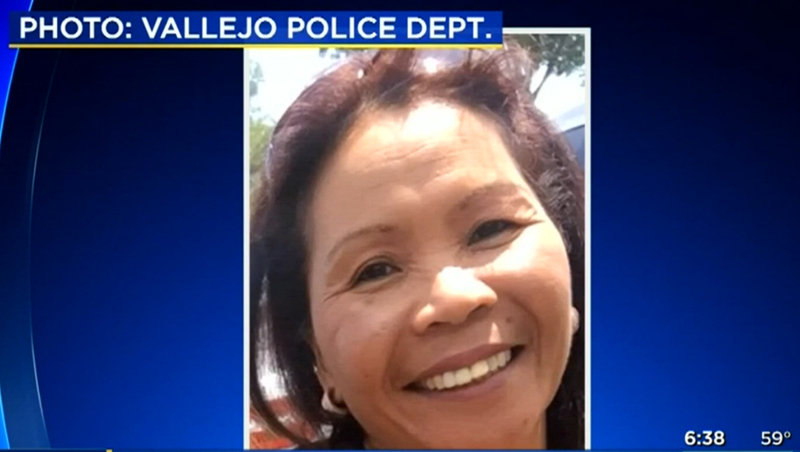 VALLEJO, Calif. -- Police in Northern California are investigating the kidnapping for ransom of a woman who remains missing even though four suspects have been arrested in the case. Elvira Babb, 57, was last seen June 29 by a co-worker who dropped her off at a market in Vallejo, Lt. Jeff Bassett said Sunday. Her son, John Babb of San Francisco, received a text message the next day demanding money - a figure under $100,000 - and threatening his mother's life if he did not comply or went to the police. Babb replied, but he didn't get a response, Bassett said. Babb went to his mother's home after receiving the text and found her pet Chihuahua dead. On July 1, Babb reported his mother's kidnapping to Vallejo police. A weeklong investigation, which included the FBI, the Sacramento and Fairfield police departments, Solano County Sheriff's Office and U.S. Marshals Service, led authorities to Emmanuel Espinoza, 26, of Stockton, who was arrested in the Sacramento area and is considered the primary suspect, Bassett said. Espinoza was an acquaintance of Elvira Babb, though the extent of their relationship was unknown, police said. Authorities also arrested Jalon Brown, 32, and Larry Young, 23, of Sacramento and Lovely Rauzol, 27, of Vallejo. The suspects are not cooperating with police and have not divulged the location of the missing victim. Investigators have no leads as to where Babb may be or whether she is alive, Bassett said. "We definitely have the primary suspects," he said. "If there are others, the suspects aren't cooperating with us." The department waited until Saturday to release the information "for the safety of the victim," he said. The Vallejo Police Department came under fire last year after describing the kidnapping of Denise Huskins from her Vallejo home as a hoax. Federal prosecutors later charged disbarred Harvard-educated lawyer Matthew Muller with Huskins' kidnapping. In a lawsuit filed against the city in March, Huskins and her boyfriend, Aaron Quinn, accused Vallejo police of defamation and infliction of emotional distress.